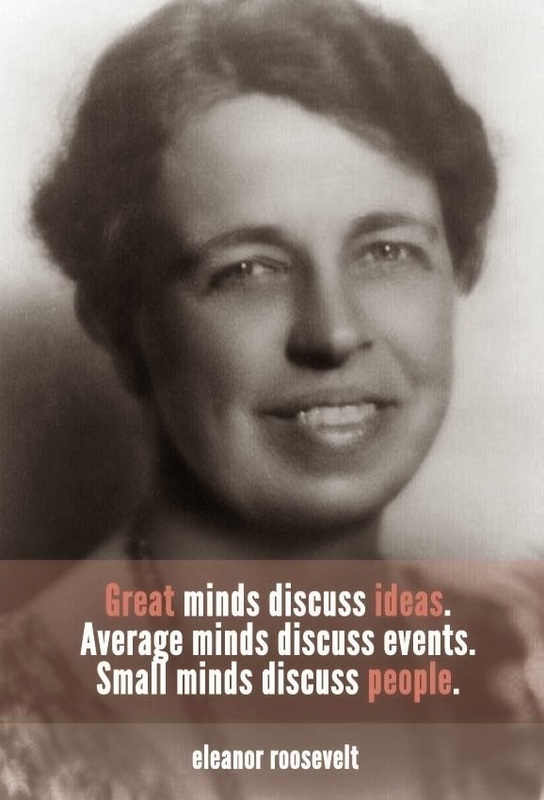 I am such a fan of Eleanor Roosevelt and her fabulous quotes! They are all so amazing, and really make you think. I love when a quote makes you really sit and think how it relates to your life. This is probably one of my most favorites, so truthful and wise. We all need to remember this when dealing with the small minded people out there! Hope your Tuesday is a most excellent one! !